We are currently in the build phase of the Brave Earth retreat center. Yet we have lots of room to play! We are nestled in a beautiful rainforest and regenerative, biodynamic farm. 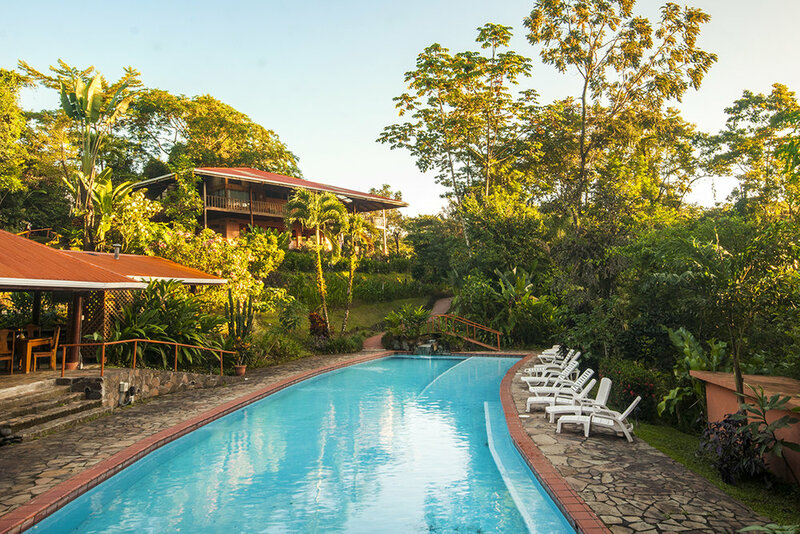 Our sister farm, Finca Luna Nueva, has an ozonated pool, hot tub and farm-to-table restaurant that is accessible for guests. Our newly renovated Farm Loft space with two private double rooms and four single loft style rooms. Check out our AirBnB listings for photos and to book directly. Our sister farm, Finca Luna Nueva, has a beautiful ecolodge nestled within our shared regenerative farm and rainforest. You can book directly with them and request a room on the Tierra Valiente side of the farm.